You’ve got a laundry list of virtual and physical multi-vendor assets (of all types) all over the globe and no simple one screen, identical user interface solution for providing appropriate sysadmin/user access and full power control to them all. This didn’t exist until now. ZPE Systems is now delivering a secure one-screen access and control solution that provides just that. One Screen for your Data Center of Everything™. Yes, we provide secure In-Band and Out-of-Band user access for practically everything – VMware and KVM VMs, Cisco and Juniper routers, OpenGear, Raritan, Digi, and Avocent console servers, APC/Schneider PDUs and UPS devices, HP, IBM, Dell, Cisco, and Supermicro servers, storage from EMC and NetApp… you name it, we most likely provide secure access to it. 2. Nodegrid Manager Delivers "Everything You Need in a Screen"
DeviceURL™ Direct URL device bookmark for MKS, Console, Web or Tunnel. Power on/off control – not simply rebooting live machines. Nodegrid turns on cold ones too. Cloud Clustering™ – easy cloud clustering with elastic search capability for large or distributed environments. FireTrail™ Secure Tunneling – give users secure tunnel access to all their appropriate devices (and ports) across data centers and through firewalls. All port forwarding happens inside of a secure Nodegrid tunnel. At no time do you need to punch holes in or provide users with credentials to any firewalls. 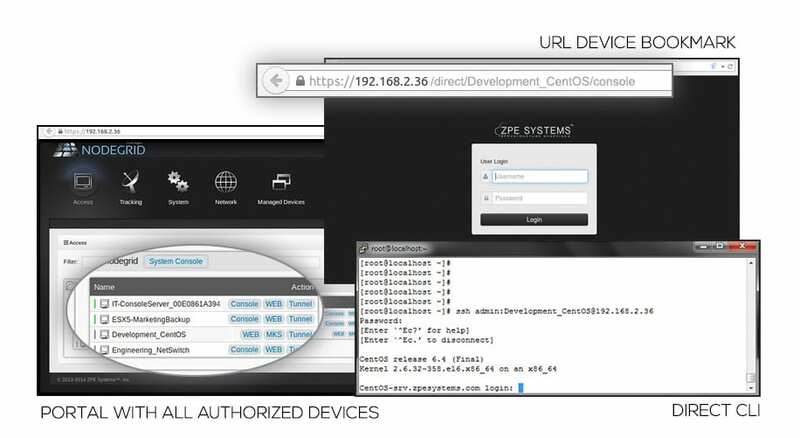 Users only see the devices and ports they are authorized to see. See our Use Cases to find out how – and get cool implementation ideas for Nodegrid Manager in disparate environments. We’re adding new cases each month! 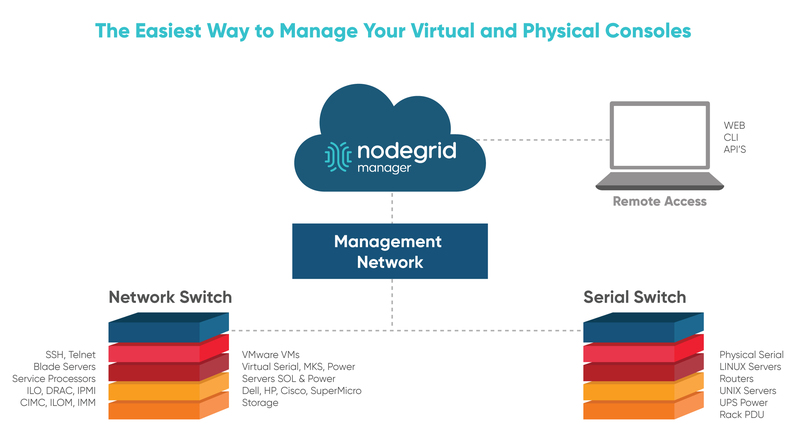 We want you to get to know Nodegrid Manager, and truly experience vendor freedom – It’s liberating! Free one month trial. Our software defined solution grows with your needs – without breaking a sweat. Request your trial license copy now. We’d like to know how you’re currently handling secure access of your data center assets today. Send us an email info@zpesystems.com or give us a call. We’d like to discuss how we can help you simplify data center access management. Share the post "Five Reasons To Use Software Defined Access Control"